When allowing users to enter data into our website, we need to check whether the data is entered by the human. Otherwise, people will use robots to push the bulk of unwanted data into the website. It will cause a lot of problems like XSS attack or increase server load to down the website. CAPTCHA is one of the methods to prevent robots from entering data. 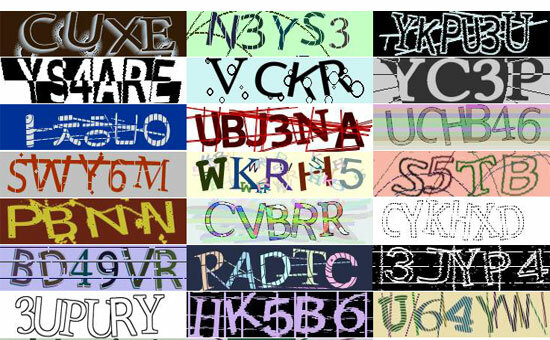 CAPTCHA can be text-based, audio-based or graphics-based random code generated dynamically. On submitting user input, this code will be mandatory which will help to capture robot not entering captcha code. 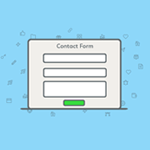 In this tutorial, I have a contact form to get the user input. 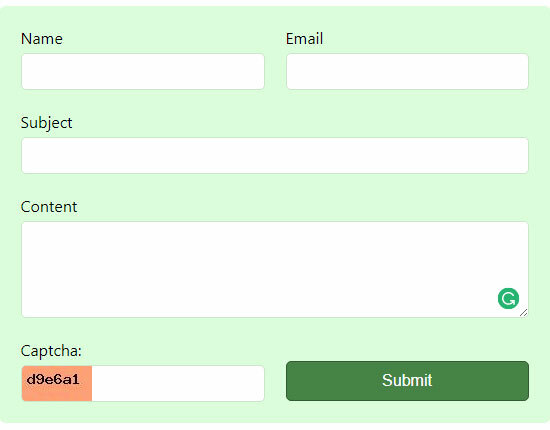 This form includes name, email, message subject and message body fields to get messages from the user. I have created a random captcha code and stored it in a session. This captcha code will be displayed in the contact form which should be entered by the user to submit their messages. I have the server side validation to check whether the code is not empty and valid. In this section, I cover the PHP code for creating CAPTCHA code to be stored in a session variable. I start the session to store the captcha which is dynamically created using the PHP rand() function. I have created an image target layer and write the random code. This JPEG captcha image will be shown in the contact form. The image creation and resizing code are shown as below. This code shows the HTML contact form with the CAPTCHA code. Following screenshot shows the random captcha code in the contact form. we are making captcha web application. now we have fetching a problem, when we click enter captcha….on the database it should get added….in a manner $0.001,$0.002,$0.003 as we keep on entering captha.itshould take the entry….but we are unabble to do so plz any one help us.